SEMIBOX CREDENZA — Classic Furniture inspired by Mid-century Classics, Made in Grand Rapids, MI out of Solid hardwoods. 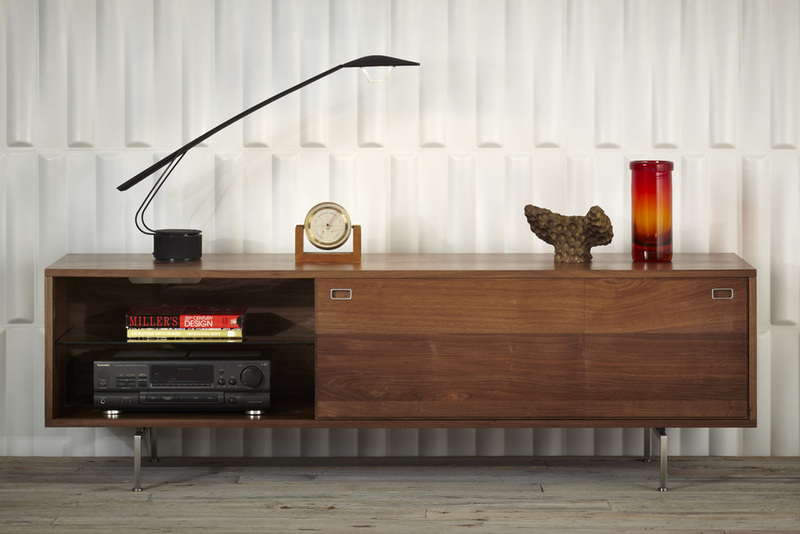 Our Semibox credenza has a sleek, low profile. A select, solid American black walnut case floats on a polished stainless steel base. 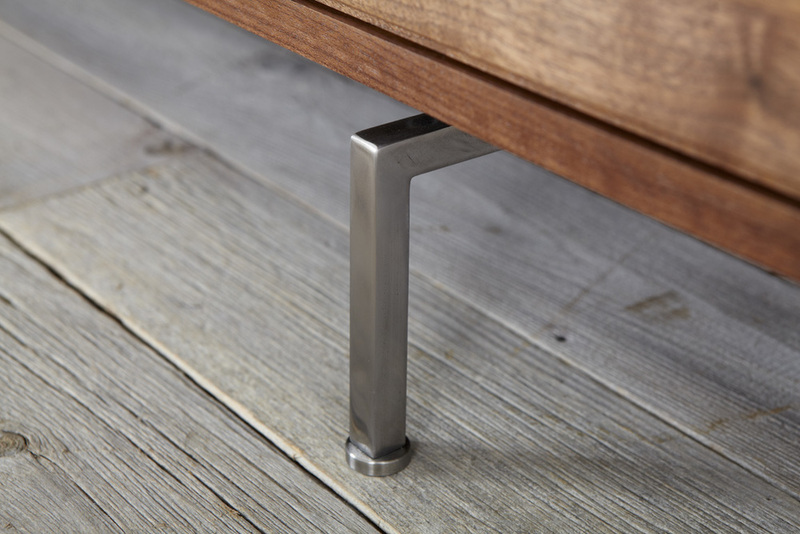 Thick, solid stainless steel pulls are submerged into ¾” solid walnut sliding doors that move smoothly on bearings. Luxurious, modern, and genuine. Solid Walnut in a durable, high grade commercial lacquer finish. Solid, polished stainless steel base with leveling feet. Cable routing features and back ventilation. Three adjustable tempered glass shelves- two large and one small.